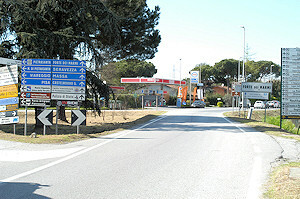 Arriving from the motorway A12 Genova-Roma, you have to exit at the toll booth Versilia, be careful "Casello Versilia" and not "Versilia Sud", "Versilia Nord", etc: it is the way to Forte dei Marmi. 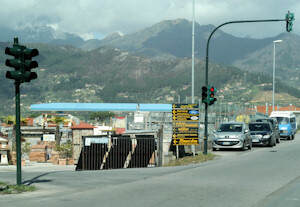 Once exit through the toll booth Versilia, turn right (see the picture) and reset the odometer, it will be useful to better follow the indications below. After 100 meters, you will find the first traffic light: you have to cross it and go straight on. After 800 meters, you will find the second traffic light: you have to cross it and go straight on. 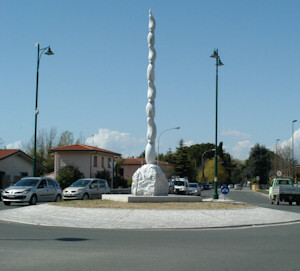 After about 1,2 km, you will see the signpost in the picture: at the traffic circle, far about 300 meters, you have to turn right, following the direction to "Querceta-Stazione". 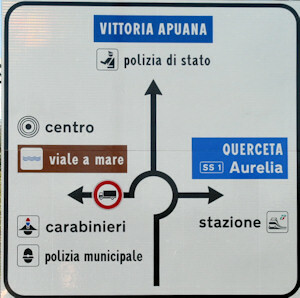 The traffic circle you see in the picture is that one where you have to turn right, toward Querceta-Stazione. 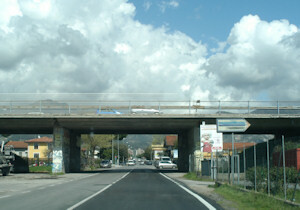 Once turn right, go straight on passing under the motorway bridge (in the picture). Keeping this direction, a little forward you will find a traffic light (in the picture), turn left. 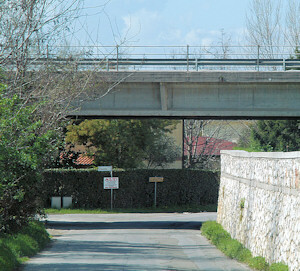 Now you are in Via Ciocche, proceed along the river bank. Pass under the bridge you see in the picture and proceed along the river bank. On the left, you will find the company General: still go straight on, your destination is near. 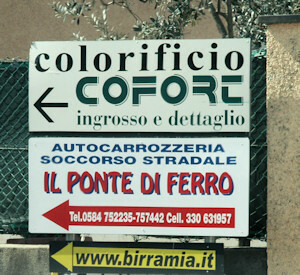 After about 2,7 km from the odometer reset, you will find the road sign birramia: turn right (you have almost arrived). 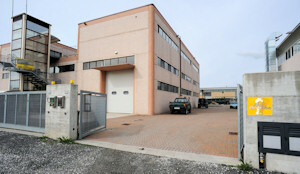 After 200 meters, on the right, you will see our storehouse: you have arrived. You have covered about 3 km from the motorway to our offices.